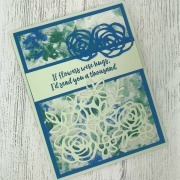 Home > Card Making Brands > Stampin Up! Stampin Up! sells greeting card and craft supplies. 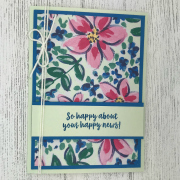 In fact, everything that the aspiring card maker needs from rubber stamps and inks to matching bundles of card and paper. The co-ordinating products take the hard work out of finding products that go together. Products are sold through a "Demonstrator". Demonstrators operate independently in the US, UK, Canada, Europe, Australia and New Zealand. 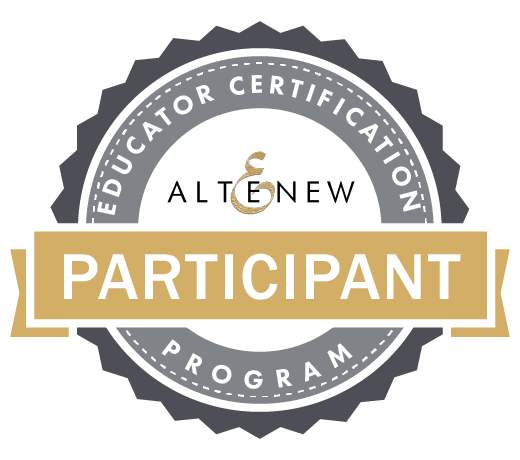 Many will run their own classes using Stampin Up! products. Stampin Up! paper is good quality for a variety of tasks - card bases, card fronts and 3 D objects. The Whisper White card works well for colouring with alcohol markers (both Copic and Stampin Up! Bends) and is great for stamping. The card is sold in US sizes for those in the US and Canada. UK/Metric sizes for UK, Europe and the rest of the world. The quality is the same wherever you live. The inks co ordinate with the paper/card colours and ink refills are available for all colours. The cleverly coordinated products from Stampin Up! can be used for a variety of occasions and in a multitude of ways. The stamp sets often have co ordinating designer paper with either matching punches or dies.